Is our Galaxy this thin? We believe so. Magnificent spiral galaxy NGC 4565 is viewed edge-on from planet Earth. 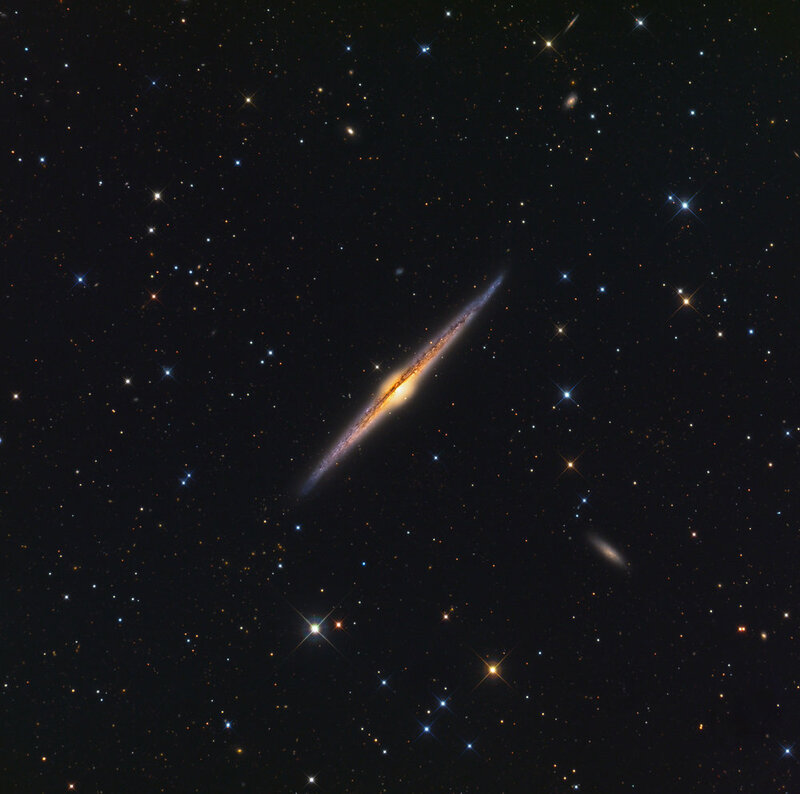 Also known as the Needle Galaxy for its narrow profile, bright NGC 4565 is a stop on many telescopic tours of the northern sky, in the faint but well-groomed constellation Coma Berenices. This sharp, colorful image reveals the galaxy's bulging central core cut by obscuring dust lanes that lace NGC 4565's thin galactic plane. An assortment of other background galaxies is included in the pretty field of view.